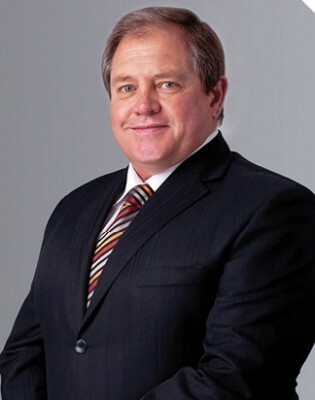 The prolonged uncertainty created by the introduction of Mining Charter III and the Mineral and Petroleum Resources Development Amendment Bill [B 15D – 2013], has left SA’s mining industry in limbo. An industry that can ill afford any more financial setbacks. 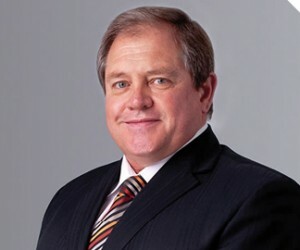 Instead of bringing more black ownership with the Broad-Based Black Economic Empowerment Charter for the South African Minerals Industry (Mining Charter III), the Department of Mineral Resources (DMR) has created a roof fall in the industry which has put the brakes on resource development. According to the South African Chamber of Mines, the industry has been on a financial back foot for years, recording a R31 billion loss in 2015 with 60% of the significant platinum sector operating at a loss. The industry already operates in an uncertain environment with fluctuating commodity prices and exchange rates compounded by increasing cost pressures. The reduced deal flow, as investors seek to divest and look for opportunities elsewhere, is adding additional pressure as investments dry up. The announcement has created employment uncertainty with the blue collared workforce. Job losses in the industry have become commonplace, as the sectors contribution to GDP decreases, so does the opportunity to retain, let alone grow, employment opportunities. The Mineral Resources Minister, Mosebenzi Zwane, has been reported saying (and reiterating) that “he strongly believes the new Mining Charter is realistic and achievable.”  so concerning is the loss of employment in the mining sector, that this issue has become a public interest focus area of the Competition Commission in considering whether or not to approve mining mergers. Minister Zwane is adamant that rapid economic transformation should not just be lip service. By introducing Mining Charter III, he will be increasing black ownership of the industry to 30%, the effect of this announcement has catapulted the industry into a crisis. The mining industry has achieved 26% black ownership, the financial viability of the additional 4% mandated by DMR has added another risk to an already uncertain market. Since, 15 June 2017, R51-billion of value in South Africa’s mining sector was lost, “due to the negative response to the release of the DMR’s revised charter…”, says the Chamber of Mines of South Africa. It’s no secret that the announcement of Mining Charter III, has led to the industry being lost in limbo. Prior to the announcement, the industry was battling along, with the contribution of gold to South Africa’s GDP consistently declining. According to Stats SA, “South Africa produced 87% less gold in January 2015 compared with the same month in 1980” – but now it’s hitting a full blown crisis. And the economy, that narrowly clawed its way out of a technical recession in 2017, will bear the brunt. Job losses are increasing and at an almost equal rate to disinvestment, secondary and supporting industries are feeling the impact. Concurrently, fewer investors see South Africa’s mining industry as a viable option and foreign direct investment is leaving our shores. The financial viability of South African mines is looking bleak and investors are seeking more profitable options in Africa. Gold mining is a perfect example. West Africa is reaping the rewards, having far overreached the tonnage of gold mined by southern Africa since 2006. While, the South Atlantic side of the continent has its own challenges including an unreliable power source and tough tax legislation, it is still proving a cheaper, more certain and attractive option for investors. The remaining South African mines that are still operational are digging up what is there, exploration projects have seen a sharp decline with no new gold mine having been sunk in the last ten years. While Mining Charter III was ostensibly created to promote empowerment in the industry, the very section of society it was created to support, the blue-collared workers on which the industry relies – are hardest hit. Retrenchments and job losses are just one of the side effects of a charter that didn’t consult the industry that it was written for. As mines focus on retrieving what minerals, particularly gold and platinum, remain in existing shafts, miners now need to dig as far as 3km underground to source what is left. An unintended consequence of Mining Charter III, is its role in solidifying what historically has been a tenuous relationship between the labour force and the mining houses. The charter has created a common goal of protecting the interests of the mining industry, key to the survival of both parties. If the mining industry is to survive, the current minister needs to be removed and replaced by an experienced hand in the industry. The unilateral decision to proceed with Mining Charter III, while a strong political move, is smelting one of South Africa’s key contributors to its GDP.